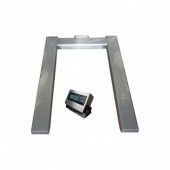 We stock many variations of Pallet Truck Weighers [Stainless Steel Pallet Trucks] and Pallet Scales in high grade 304 stainless steel. 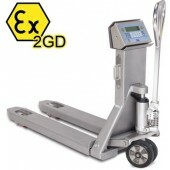 We have Walk through Platforms with ramps on each side with crash bars for safety these are used for weighing goods on trolleys retail cages or pallet trucks. 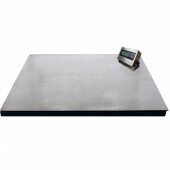 We have the simple 1200mm x 1200mm platform scale for standard Euro pallets or 1500mm x 1500mm platform scales for pallet weighing via loading with a pallet truck. 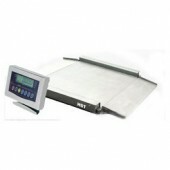 All our weighing scales have Stainless Steel IP rated Weight Indicators for wipe down applications. 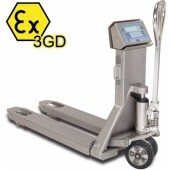 Please call our sales team if you require any assistance on the options available. 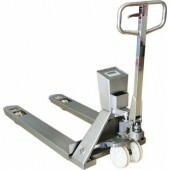 Stainless Steel Pallet Trucks There are 8 products.